Fresh fruits and vegetables has become a public concern from the food security aspect. And the prediction of shelf-life loss under the fluctuated temperature becomes one of the key problems in food supply chain operation. So this paper identifies the impact aspects of produce decaying during distribution. For the key temperature factor, the process is divided into three phases: sorting, traveling and door-opening. 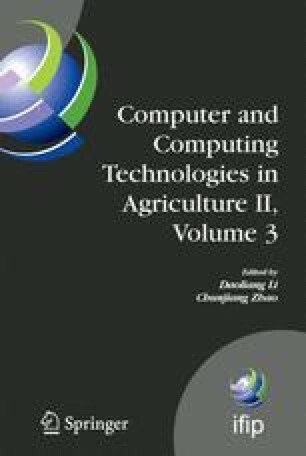 Based on time-temperature function, a model of shelf-life loss of horticultural produce during distribution is developed by evaluating respiration rate of vegetables and fruits considering both the environment fluctuated temperature and vehicle vibration during traveling. Taking eggplant as an example, the numerical experiment result demonstrates that the average cost for ambient distribution is 2.8 times of the insulation way.